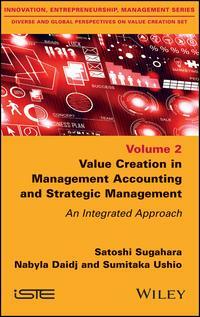 This book explores two combined approaches (strategy and accounting) from a cross-disciplinary perspective in order to improve knowledge of value creation in various contexts. Existing studies on this topic have generally adopted a purely account-based or strategy-oriented approach to address this issue. However, this book draws upon a number of well-defined theoretical and empirical backgrounds and methodologies. Since the 1980s, many changes have occurred and companies have increasingly focused their strategies on value creation. Consequently, new strategic directions have emerged, especially for managerial accounting. Management accounting and alignment with strategy could thus improve performance. This book encourages further thought and reflection on these issues which should be pursued in the future as firms face new challenges associated with the acceleration of digital transformation.